The friendly staff at Family Medical Clinic of Crystal Springs welcomes your inquiry at (601) 892-3063 and is ready to provide you with answers. To schedule an appointment, please call our office. Once you have made your initial appointment, you may download, print, and complete the forms below. Please be sure to bring them with you to your first visit. Completing the forms prior to your visit will help speed up the new patient registration process. We also encourage you to register for our secure patient portal so you can update forms, get test results, and more. If you are an established patient who has not registered for our patient portal or you have not received authorization to begin using the portal, please call our office to obtain a registration PIN. We are conveniently located adjacent to Wisteria Inn. Our regular office hours are Monday - Friday from 8 a.m. to 5 p.m., with same-day appointments available for urgent issues. We close for all major holidays. In the event of a life-threatening medical emergency, call medical emergency services at 911 immediately. DO NOT WAIT! If you have an urgent medical need and need to talk to Dr. Ervin after our regular hours, please call our office at (601) 892-3063. A doctor is on-call 24 hours a day. Your call will be returned promptly. 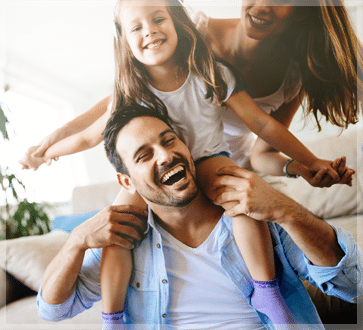 At Family Medical Clinic of Crystal Springs, we accept most major insurance plans. Please contact your insurance company or you may call our office at (601) 892-3063 to find out if we accept your insurance plan. If you have a question related to your bill or insurance, please contact our billing specialists at (601) 892-3063. If Dr. Ervin suggests a specialist evaluation or diagnostic testing that requires a referral, we will make every effort to provide this for you as soon as possible. Some referrals require insurance preauthorization and cannot be processed immediately. Insurance guidelines prohibit us from backdating referrals. We require three business days for the processing of routine referrals. As an outpatient facility, our providers do not admit to hospitals but rather coordinate hospital care with physicians at the hospital of the patient’s choice. Prescriptions and refills for established patients of Family Medical Clinic of Crystal Springs are routinely issued during our regular office hours (see above). You can make your request by calling our office at (601) 892-3063. No refills are issued during the evenings, weekends, or holidays, as the doctor does not have access to your medical records during those times. It is important to anticipate your refill needs to avoid an interruption in your medication therapy.